What’s Your Favorite Sage Substitute? While the scent of Basil has the hint of cinnamon, its overall taste is woodsy – like Sage. But since its flavor is more toned down than that of Sage, more will be required in a recipe that’s supposed to be asking for Sage. 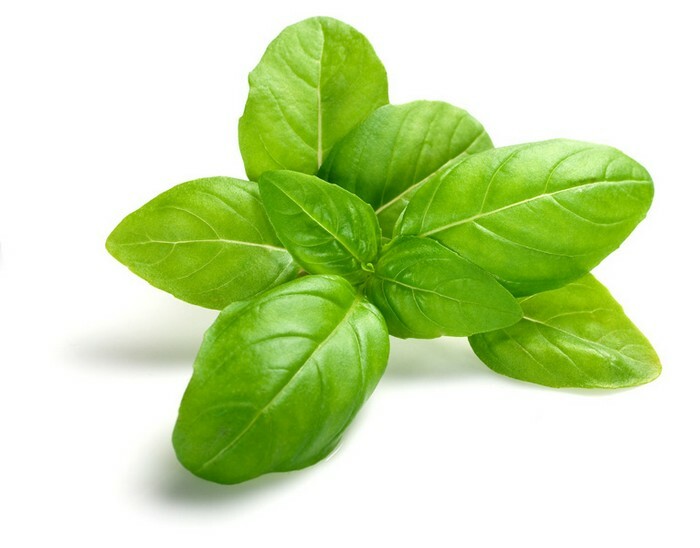 Just like Sage, Basil is also commonly used in meat, fish and pasta dishes. In fact, dishes that use tomato, garlic, and lemon will also taste better when Sage or Basil is added. So, yes, Basil makes for a great substitute for Sage in meatloaf and other types of recipes. 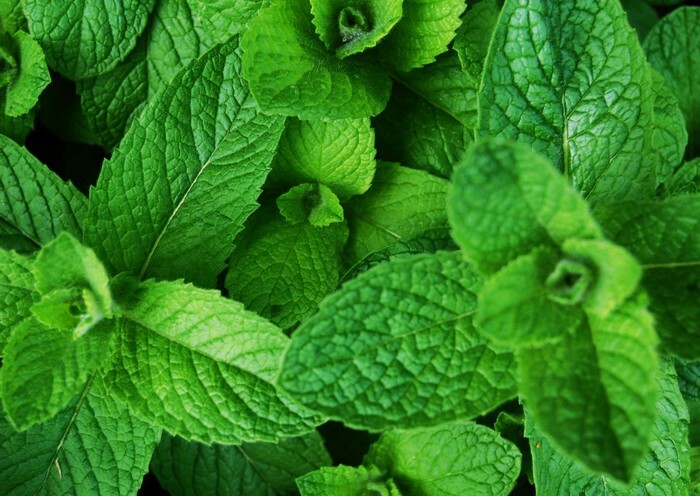 Because of its minty characteristic, Mint can replace Sage in many recipes. 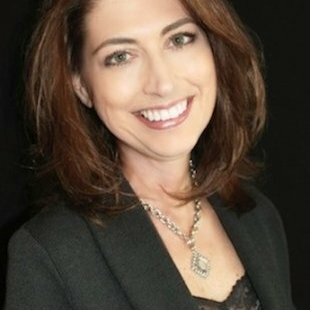 It also carries hints of pine-like flavors which will make you think of Sage when you recognize it in a dish. Savory dishes that require Sage can get away with using Mint, so you really don’t have to trouble yourself to get the real thing. You can even use Mint as a substitute for Sage in stuffing recipes and no one will notice the difference. 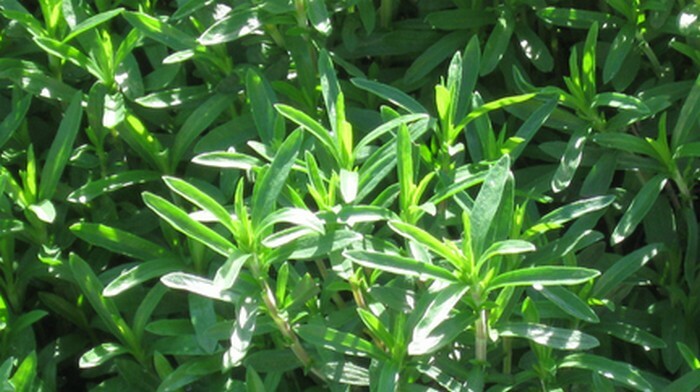 Winter Savory is a cousin herb of Summer Savory – they have similar tastes (but not the same). 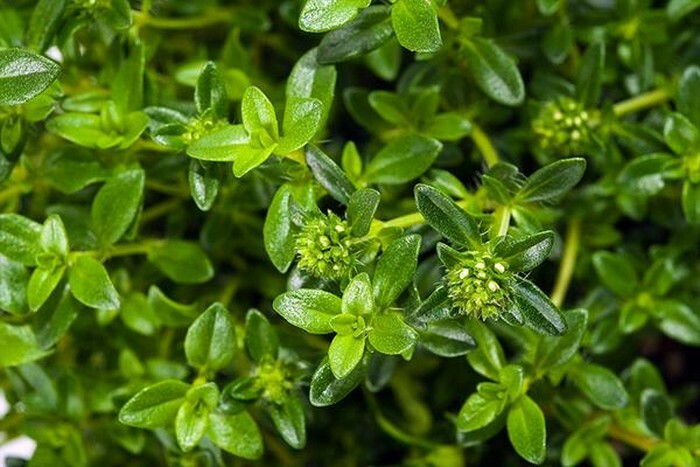 Like Summer Savory, its flavor can also be compared to Marjoram and Thyme (which are both acceptable as Sage substitutes). Compared to the Summer variety, which has the minty flavor, Winter Savory has a stronger taste – it’s more peppery than minty. And so, if you’re going to use this to replace Sage in your recipe, make sure that you only use about ½ of the needed amount for Sage. “What can I substitute for sage?” Have you asked yourself that question when you realized that your Sage bottle is empty (and your recipe required its use)? Well, next time, look around – if you have Mint and Parsley, you can use a combination of those spices to recreate the flavor of Sage. Remember that Sage carries a pine-like flavor that’s minty in taste. 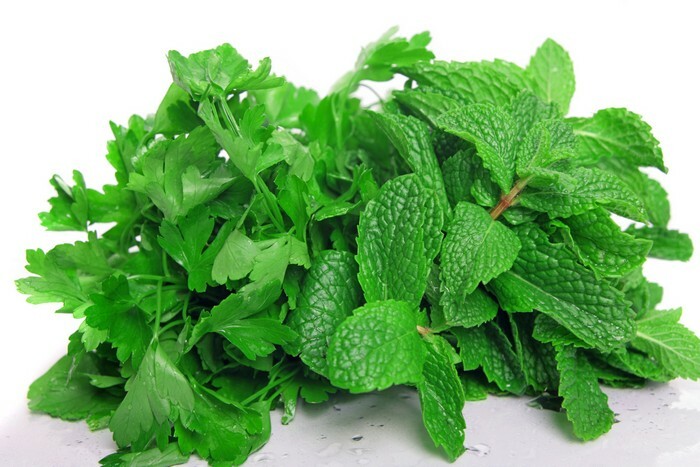 However, the Mint spice itself is quite strong – but combining it with parsley will tone down its overall flavor. To use this technique as a substitute for Sage seasoning, mix 1 part of Mint to 6 parts of Parsley. And to make sure that the combination of spices can really spread in the dish that you’re preparing, add the spices early on in the cooking process. Just as you can combine Mint and Parsley to create a mixture of herbs that would replace Sage, you can also Thyme and Marjoram. As mentioned above, these 2 spices can replace Sage on their own – but combining them will result in another variety that’s also tasty. 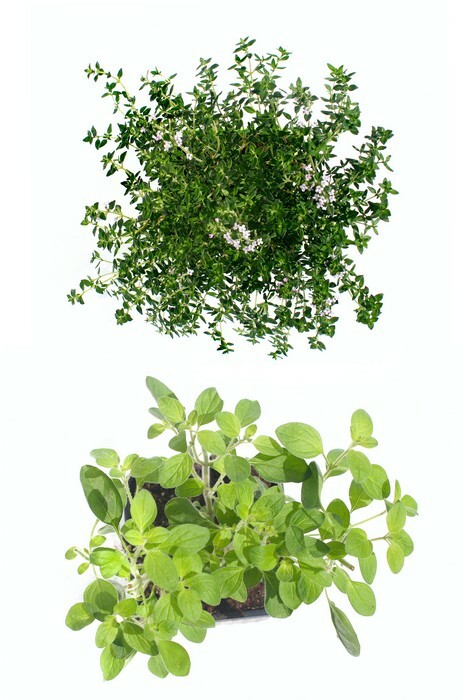 For this combination, you can use 2 parts of Thyme and 1 part of Marjoram. The reason for the proportion is that Marjoram has a stronger taste than Thyme. When used in the right amount, this mixture will create the impression that Sage is used in the recipe. These 2 herbs can really bring out the taste in your dishes. This combination of spices is so good, in fact, that you might want to include them in your recipes even if you have Sage around. Although it’s called Poultry Seasoning, keep in mind that you can use this mixture of spices for a wide variety of recipes (yes, including meat). And since it contains Sage as one of its main ingredients, you can use this seasoning when you accidentally run out of Sage. Just don’t use too much of this seasoning, however, as it contains other spices that may not be suitable for the type of dish that you’re preparing. It is particularly high in Nutmeg flavor, so using too much can ruin the taste of a dish that doesn’t really require the presence of nutmeg. When used sparingly, Poultry Seasoning can really help enhance the flavor or your recipes. After all, it contains other flavorful and aromatic spices that will complement any dish. If you’re regularly using Poultry Seasoning to replace Sage in some of your favorite recipes, you might as well know how to recreate this special blend of ingredients. Again, let’s assume that you don’t have Sage in your pantry but have other spices to make up for it. 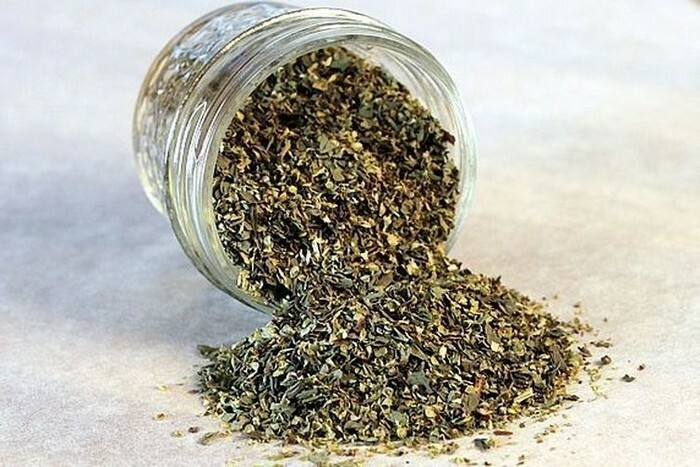 The recreated Poultry Seasoning above can be your go-to seasoning whenever you need to use Sage in your recipes. It’s like using Sage and other flavorful ingredients in your dishes. To watch a video on how to make a variety of Poultry Seasoning, click here. Using Italian Seasoning as a replacement for Sage works the same way as when you use the Poultry Seasoning technique. 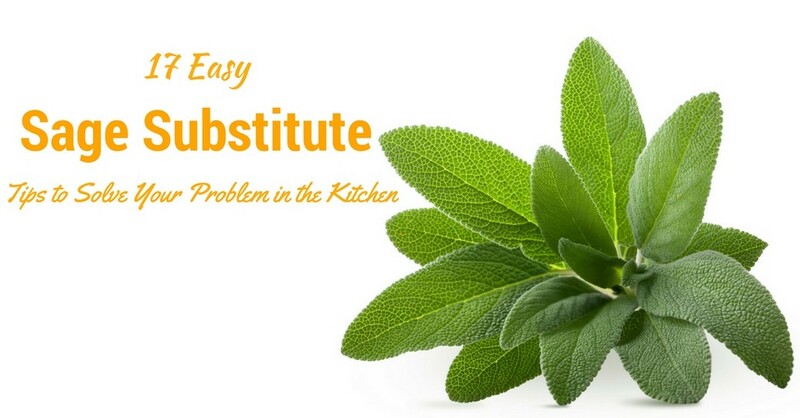 These are effective substitutes for Sage because they contain Sage. Aside from Sage, Italian Seasoning also contains high amounts of Basil and Oregano (which, again, can be used as Sage substitutes). It does carry some Red Pepper spices – which gives the seasoning a distinct taste. So, keep that in mind and use this seasoning sparingly in recipes that need a little bit of kick. A sprig of herb refers to a few cuttings or branches of fresh herbs. 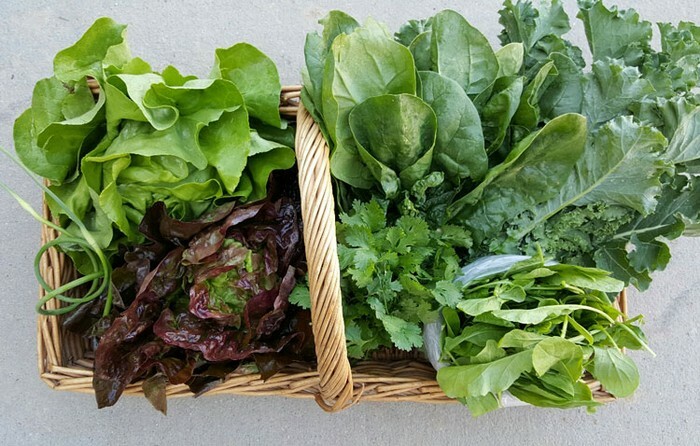 This may seem a lot, but always remember the rule that fresh herbs have milder tastes compared to dried herbs. 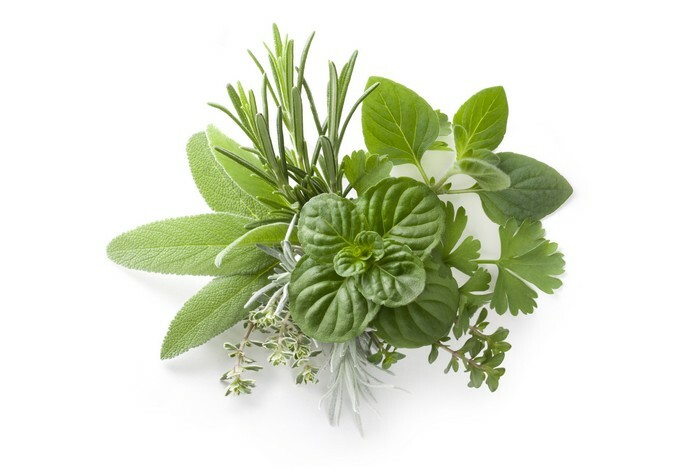 It is, therefore, safe to say that a sprig of fresh herbs that has 2 to 4 pieces of branches is equivalent (in taste) to about half a teaspoon of dried herbs. Since you can use Basil, Rosemary, and Parsley as substitutes for Sage, you can use sprigs of these herbs as well. Just remember that these should be removed from the dish after cooking as the taste of branches can prove to be strong when kept in the dish for too long (they will continue to release their flavors). The green sprouts that grow from the stem of a carrot can be used as the replacement for Sage when it’s the only thing that’s available in your kitchen. This has a plant-like taste that’s quite bitter, but it’s not too overpowering. If you have Thyme around, combining the 2 would be even better. For this particular technique, you need to chop the carrot tops in small pieces. Carrot tops are now popularly used as toppings and garnishing – just like other types of herbs. Mix all the above ingredients together and you will have a mixture of vegetables and herbs that can replace Sage in your recipes. 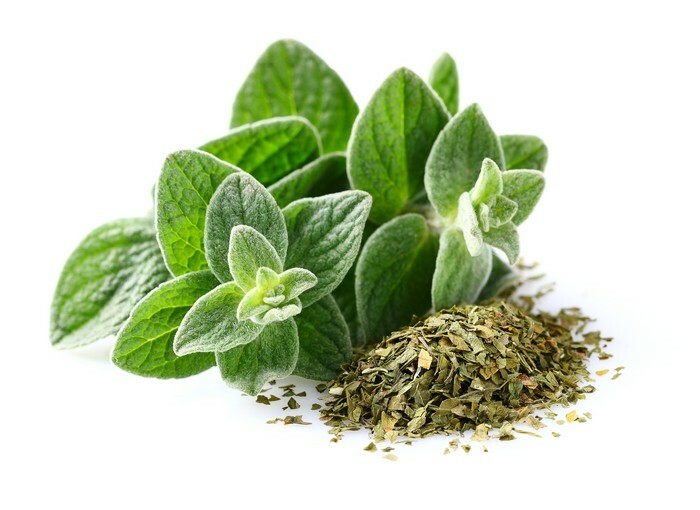 If you notice, the mixture almost measures 1 cup – when Sage and spice requirements usually call for small amounts. As you can see, it’s not really a big deal when you suddenly find yourself out of Sage in the kitchen – you can always improvise! To play it safe, however, it would be wise to always stock up on this type of herb (especially if it’s one of your favorites). To make sure that you always have Sage, you can stock up on the different forms of Sage in your pantry. You know, the ground, dried, and rubbed varieties – this way, you will always have this type of spice around in the kitchen. You don’t have to stress yourself out when using 1 form of Sage to substitute for another form of Sage. 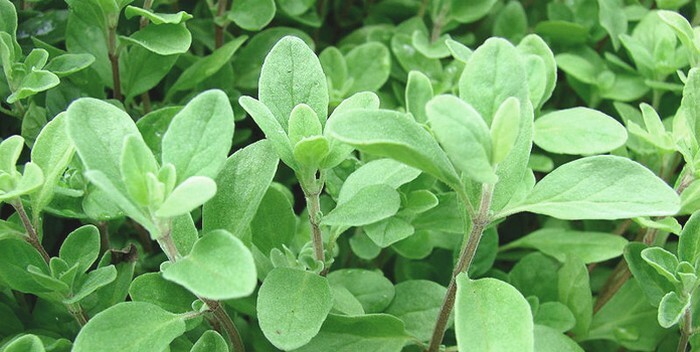 You really don’t need to concern yourself about how much ground Sage equals one leaf of Sage. All you really need to remember is that ground or powdered spice is always more flavorful than fresh herbs. The ground variety is about 2 times more intense than dried leaves, and dried leaves are about three times more intense than fresh herbs. How much ground sage equals fresh sage? If a recipe calls for 1 tablespoon of fresh Sage, you can substitute this with ½ teaspoon of ground sage – simple as that. Please, don’t complicate things too much such as being problematic on how many sages leaves in a tablespoon. There are no hard and fast rules to such issues as spices are always used sparingly anyway. You don’t need to literally count leaves to create the perfect dishes. Just remember that they’re very flavorful and a little goes a long way. So, tell me, what’s your favorite Sage substitute from among the list above? If you have other suggestions, don’t forget to share your thoughts in the comments section below. Fellow herb lovers would surely like to know which types of spices can substitute for other ingredients as this makes cooking more fun and exciting. Come on now, let’s get cooking!